Check it out! 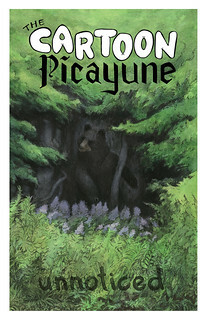 This is the beautiful limited edition postcard that Dakota did exclusively for The Cartoon Picayune. 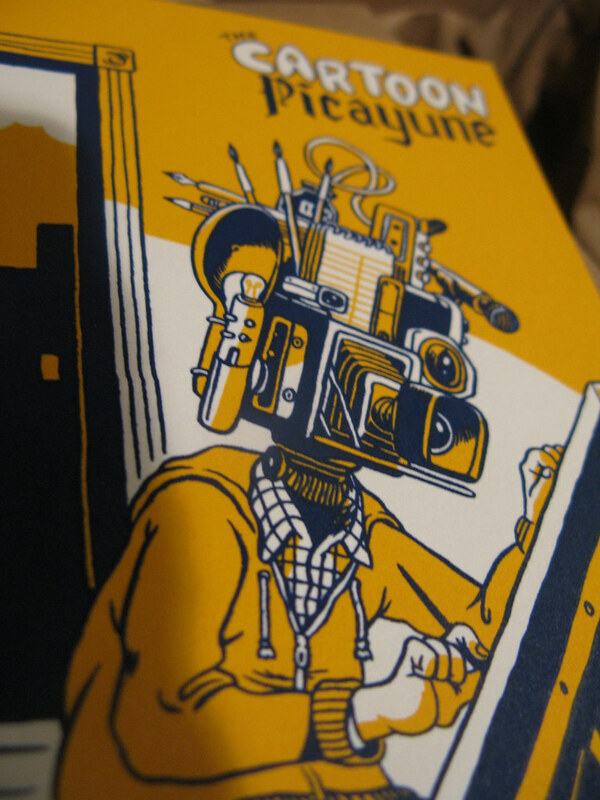 It is printed on French Paper Co.'s rich Muscletone Whip Cream stock, in vibrant navy and orange/gold. VGKids did a beautiful job printing it. I love the way Dakota applied his amazing cartooning chops and whimsical, if sometimes disconcerting, style that is often on display in his Dailies. 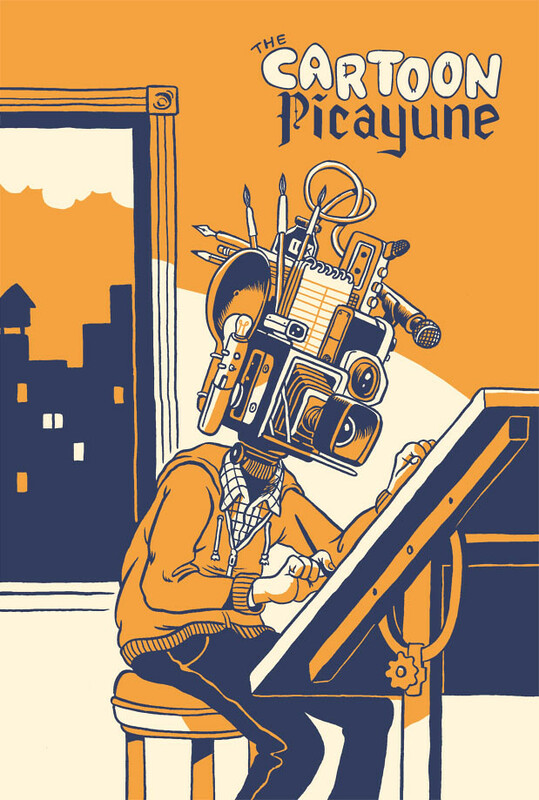 His first book is now available from Conundrum Press, and I cannot wait to see it in person. For now you can only recieve this beautiful postcard by becoming a subscriber as part of our ongoing Subscriber Drive, which will start you off with the brand new Winter Issue, with the theme of Small Worlds.